Enclosed Cargo Trailers Shop Now! Welcome to Hickory Enclosed Trailer Sales,Inc. and Racing Performance Motorcoaches Inc.
a family owned business. We have dedicated ourselves to providing the best customer service all over the county for 20 plus years. 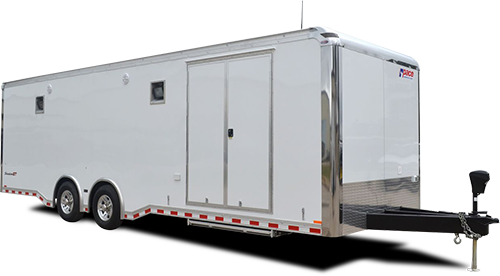 We offer a wide selection of new and used enclosed trailers as well as a full line of custom motorhome conversions such as Showhauler Trucks, Renegade Custom Trucks and Trailers, NRC Modifactions, Haulmark Trailers, Cargo Mate Trailers, Forest River Products, T&E Enterprises just to name a few. 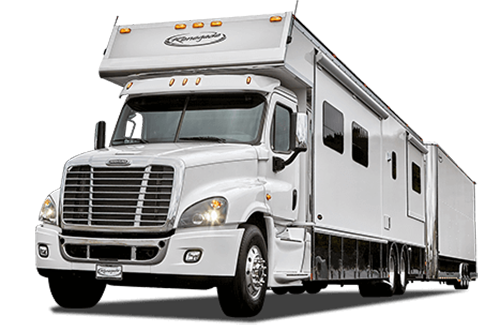 In addition to our new trailers and motorhome conversions, we offer a complete service center specializing in remodeling, damage repair, electronic upgrades etc. We also offer a large line of parts accessories, tires, generators, winches, motorcycle wheel chocks etc. Not only do we sell these products, being racers and motorcycle enthusiasts ourself, we actually have tested the product we represent, "we've been there done that".